Gutter maintenance plays an important role in keeping your home and roof in tip-top shape. The rain gutter system is your home’s drainage system, and is designed to remove excess moisture from the roof. Gutters that are broken, run-down or blocked can cause water damage to both the roof and interior of your home. Keep your gutters maintained and free of blockages to prevent untimely and costly roof repairs. 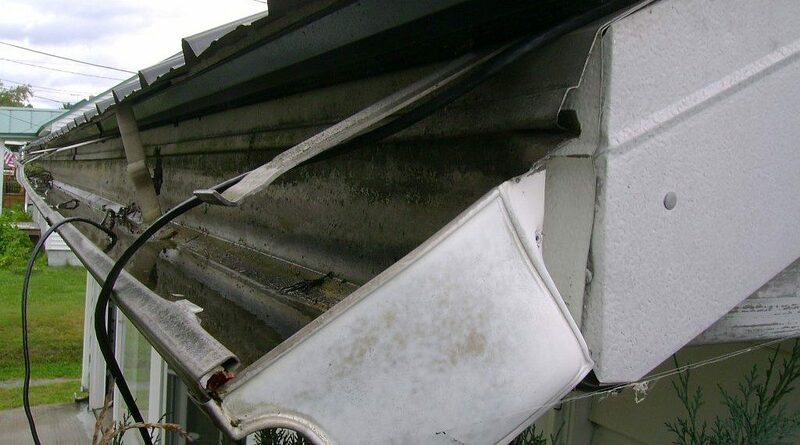 What do you think the five most common Rain Gutter repairs are? 2. Clogged Gutters. Gutters become clogged for a variety of reasons, including the formation of ice dams, the growth of mold and vegetation, and a simple lack of maintenance. Clear out your gutters–carefully–with each season, or schedule twice yearly gutter cleanings with a professional. Also consider leaf-relief-gutter-protection system for clog-free gutters in the future! 3. Leaks. Sunlight and rough weather can cause gutters to crack, which in turn leads to leaks. The size of the cracks or holes may determine whether you are comfortable making simple repairs yourself or relying on a roof and gutter expert. Waterproof or gutter sealer is easy to apply to dry, sanded gutters. Large holes or cracks may require sections of your rain gutters to be replaced. 4. Normal Wear and Tear. Your home’s gutters are designed to last several decades, but at some point you realize the life of the gutter is over. Rust, cracks, and severe mildew may not be cost efficient to repair any longer. Call on a professional roofing & gutter contractor to inspect the damage and recommend a new system crafted from vinyl, copper, galvanized steel, or aluminum. 5. Damaged Downspouts. The downspout of the gutter is the part that delivers the water to run-off areas on the ground. Downspouts that become misdirected or damaged can begin to direct water toward the foundation of your home rather than away from the house. A soggy foundation can create expensive water damage problems. Have damaged downspouts repaired or replaced as soon as possible to avoid costly home repairs.